Observations on Culture, Faith, Politics and the Roots of American Freedom: Redskins or Red Clouds? It often puts a smile on my face when I hear the next liberal cause célèbre. All liberal causes or crises have a pattern. They are generally created for a specific purpose, most often political or ideological. They are commonly of minor importance, and they often obfuscate a much more important issue. The latest hand wringing over the name of the National Football League franchise in Washington, DC, certainly fits the pattern. Is the term Redskins a racial slur? Yes, I think it is reasonable to conclude that its usage in the 19th century was primarily as a derogatory slur of Indians (I’m not going to use the term Native Americans because it is inaccurate and confusing). Is the term Redskins a slur today? The answer to that question becomes a bit more difficult. I remember being in Flagstaff, Arizona, and seeing an Indian (Hopi, I believe) who was wearing a Washington Redskins sweatshirt. I asked him if he was a Redskins fan and he enthusiastically replied “Yes!” along with something like “Go Redskins!” Clearly this fellow was not bothered by the term Redskins. Of course, that is a sample of one that happened at least ten years ago, so I’m not asserting that his view is the commonly held view of American Indians. It is interesting to note, however, that a 2002 poll of American Indians conducted on behalf of Sports Illustrated found that 75% of those surveyed had no objection to the Redskins name. So here we are today, arguing about the name of a professional football team. I think it is fair to say that the fans who love the Washington Redskins mean absolutely no animosity against Indians. For them, the name embodies success, courage, endurance, perseverance and a great NFL football franchise. An attack on the name of their team is interpreted by many of them to be an indirect attack on them. And, so we have a lot of ink and paper and palavering being spent on the rightness or wrongness of an NFL team being named the Washington Redskins. As for me, I don’t want to call anyone by a name that offends them. That is wrong. But, what a diversion of effort from dealing with real issues that Indians all across the nation have. Those who live on reservations live in almost universal misery. If you want to see the welfare state in action, visit an Indian reservation. I have been on a number of Indian reservations, the largest of which is the Navajo reservation in Arizona that covers 27,000 square miles and encompasses parts of three states as the map shows. The reservation has 3,000 more square miles than the entire state of West Virginia! That makes the reservation larger than the states of Maryland and Massachusetts combined. And, although it encompasses a very large geographical area, more than 77% of all the roads are unpaved, there are few telephones, and thus most of those living on the reservation live in isolation from each other and from the world. The scenery on this reservation is spectacular and I have never seen more beautiful sunsets. Unfortunately, however, most of these acres are desert, surrounded by more desert. While it has been a number of years since I was on the Indian reservation that encompasses Page, Arizona, I seriously doubt that the situation has changed much. I learned from asking questions of those who live on the reservation that the Tribal Council owns everything. They own the land that includes a mountain of coal. They own the electric train that brings the coal to the power plant that they also own. They also control all revenues generated by the coal mine and the power plant. But, much more than that they own all the sheep, the cows, and any other livestock on the land. If a tribe member seeks to move to another part of the reservation they cannot take any livestock with them. In this way, the Tribal Council rules supreme. For instance, an Indian family may live on an assigned piece of land, but they do not own it. Neither do they own the cow that they milk, nor the sheep that they shear, or any other livestock. Most likely they live in a shanty like home with a satellite antenna on the roof. On the vast Navajo reservation in Northeast Arizona, many, if not most do not have access to electricity (even though the Tribal Council sells off the electricity they generate!). Worst of all, virtually no Indian living on the land has running water or access to a sewer system. In addition, 60% of the Navajos have no telephone. Almost every home has a pickup truck sitting outside of it with a big water tank on it. They haul water for drinking and bathing, even though they are located not far from Lake Powell, the second largest man-made lake in the country. Glen Canyon Dam that backs up Lake Powell was constructed entirely on the Navajo reservation. It could not be built without agreement from the Tribal Council. Instead of negotiating for acre feet of water that could be used for irrigation, the Council agreed to take more arid desert as compensation. What a deal! With millions of acre foot of water, the Council could have transformed the desert into high production farmland, just as the nation of Israel has done in the Middle East. But, that opportunity is long past. When I was last on this particular reservation there were signs posted that read, “Keep to the Old Ways!” and “Stay on the Reservation!” Young Indians are discouraged from leaving the reservation, even though they are free to do so and many do leave. The involuntary servitude that is inherent in a welfare state is not a pleasant place to live. In many ways, living on an Indian reservation is similar to living in a socialist state. And, all the personal problems that exist in a socialist nation exist on the reservation. To live on a reservation is to live without hope. Even though Indians do not pay any Federal income tax, there is no visible industry, unless you consider casinos or roadside curio stands an industry. The mostly government run schools are poor and the opportunities are virtually non-existent. The number of people living on the Navajo reservation in Arizona is 180,000 and the unemployment rate is 42%. More than 43% of those on the reservation live below the poverty rate. While approximately 31% of all Americans have a bachelor’s degree, just 7% of those on the Navajo reservation have a college degree. 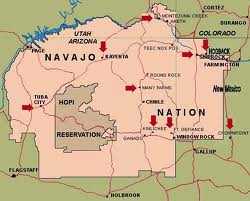 Another serious problem among the Navajo is alcoholism, as it is among all Indians on reservations. In fact, alcoholism related deaths among American Indians is nearly 12%. This is 5.6 times higher than among the U.S. population. So, as you can see, American Indians, or Native Americans, if you prefer, have very real and serious problems. These problems far outweigh the importance of the name of the NFL football franchise located in Washington, DC, i.e. the Washington Redskins. To spend so much time and effort on something so relatively meaningless is simply a diversion. Do what you want with the name. If you wish, encourage Dan Snyder, the owner of the Washington Redskins, to change the name to the Washington Red Clouds (as has been proposed). Red Cloud was a very famous, daring and cunning Indian chief. But, have a little decency, show a little compassion for the real problems that have been created on the Indian reservations. Just as alcoholism was an enduring problem behind the Iron Curtain, and in all socialist states because the people lacked hope, it will continue to be a problem as long as the Indians are segregated from the rest of society. The Indians were forced onto reservations, but it doesn’t mean it has to stay that way. Why don’t we abrogate the treaties that created the Indian reservations and turn all the property over to the Indians that live there, not just to the Tribal Council? Let them be stockholders in any existing profitable enterprises such as hospitals, coal reserves, and power plants. Let them be free to sell, trade and buy the shares of others. Let them own their land and the livestock on that land, free to sell, trade, or buy more livestock. Give them full rights as citizens, the opportunity to not only succeed and thrive economically, but also to pay taxes. Their current situation is untenable and a disgrace. Let’s worry about and solve real problems and then we can deal with the sidebar issues that the liberals love to distract us with.